EX Labs is equipped with some awesome video creation tools. That said, without a great idea, the tools are just tools. Anyone can learn to fly a drone, but you are setting out to fly your idea. Below you will find a brief description of some of the equipment available to you. You can download the user manual or learn more about each piece of tech by clicking on the images. This is an incredible camera for filmmaking. So make the most of it by studying it. 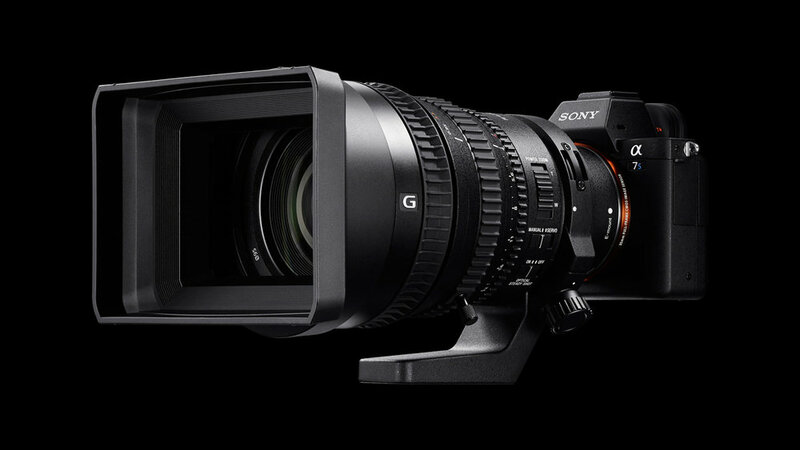 The Sony A7SII records in full 4K and can record at 120 FPS. The sensor is amazing in low light situations. The Autel XStar is a state of the art 4K drone with an interchangeable camera system. It is a professional grade aircraft that can be used to capture images high above the ground, or close to the ground at high stable speeds. Click below to view the guide to operating the XStar. The Tascam DR22-WL is a wifi enabled recording device with various settings that enable recording in different environments. It's simple to use and has a lot of great features so be sure to explore all of its capabilities. The Nikon KeyMission 360 camera is one of the newest 360 video and virtual reality cameras available today. It is waterproof and shock resistant and can be mounted like a GoPro on just about anything. The videos can be edited in Premiere Pro and uploaded to Facebook or YouTube, or viewed through VR Goggles. The new GoPro has much better features including image stabilization and multiple field of view modes. It's a great camera for capturing timelapse images as well as a camera that is water and shockproof. The DJI Osmo is a handheld camera with an independent stabilized gimbal and camera. The camera connects to your wireless device through wifi, like most all of the cameras you will be operating. The Osmo allows for very smooth shots that mimic a traditional steady cam rig. LED lighting kits are great for lighting subjects for interviews and for lighting scenes in general. Here's a link to getting the most from LED lighting. Here are some tips and tricks with regards to using the equipment in the best ways possible. Operating a drone can be an awesome experience and a powerful tool with regards to filmmaking. That said, drones are highly technical pieces of camera equipment and must be taken seriously to avoid damage to the drone and to ensure the safety of others. The follow tips will help you to get the shots you want and get the drone back home. When operating the drone follow these steps, exactly. Always make sure you have a fully charged battery. Make sure there is a micro SD in the drone. Turn on your tablet and then turn on the remote. Pair the remote and tablet in the wifi settings and then open the Starlink app. Then turn on the drone. Make sure when you turn on the drone that you are away from any large metal objects and magnets. When turning on the drone make sure you don't move it and that it is on a flat surface. You will then need to perform a calibration of the drone by following the on-screen instructions. Never fly the drone before properly calibrating it each time you fly. The calibration will help set the home point in case the drone has an emergency and needs to return to home. Before flying you should make sure you set a return to home height and that there are no obstructions between where you want to fly, and where the drone will come home. Ie. Don't launch underneath a tree because it will come back and crash into the tree if it auto returns to home. Before operating the drone it's important to think about a few things. Look at the KP Index and weather. The KP Index is a measure of solar storm activity in the atmosphere. You can download an app called Hover here that will show you the KP Index and weather. If the KP index is above a 4 it is not safe to fly. If the wind is above 20 mph it is not safe to fly either. Always keep a straight line of sight with the drone. If you cannot see the drone then the drone cannot see your remote controller and may lose communication. Avoid flying from under trees or near large metal objects. Drones do not like either of these things. Always fly in GPS mode and make sure you have at least 9 satellites connected on the remote. Do not fly in sport or ATTI mode. If a warning appears on the app, regard it cautiously and proceed bring the drone back to the home point. It is best practice to always fly with a spotter (someone who watches the drone in the air) who can tell you if the drone is getting close to hitting anything, as you may be focused on the screen and picture that is being captured. In general the best drone shots are very dynamic and help tell a story. Anyone can film with a drone but to get the best output it helps to have your shots well thought out before hand. So, plan your shots. One of the most important aspects of drone photography is to not have the camera make quick jerking movements. Ideally you will want nice slow moves without the camera quickly adjusting. Always make sure the color is balanced well and that the frame rate is adjusted to what you desire, along with the image resolution. Higher frame rates mean that footage will be able to be put into slow motion but the footage will not be as high res. The highest resolution for all of our cameras is 4K, which means 4000 pixels in dimension. When we shoot at higher speeds the resolution drops because we are capturing more data in the camera at a faster speed and the processor has to keep up. Try to keep your video resolution above 720p. And don't forget to hit record!